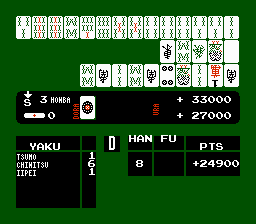 Mahjong is a boardgame for the Family Computer Disk System. 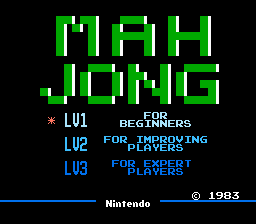 This is a 100% English translation of Mahjong for the Famicom Disk System. 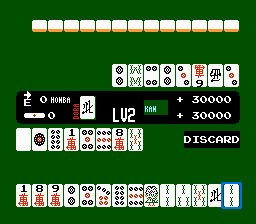 All Japanese text has been either translated or transliterated, therefore some knowledge of mahjong terminology is required. This patch is identical to the Famicom patch by the same author: the actual modifications are the same, but the original patch was modified to fit the FDS version.